Recently, I’ve been involved in some larger Azure Multi-Factor Authentication (MFA) Server projects as a senior engineer with a couple of demanding customers. It’s been a lot of fun and quite the roller coaster ride. In my opinion, an increasing number of organizations are looking to implement multi-factor authentication. They may be required to by regulators, they’ve seen the amount of breaches currently, or they’ve simply got the message from Microsoft’s cloud strategy. These organizations, increasingly have requirements throughout their environments, that require a little more thought, than simply check the Require Multi-Factor Authentication option in Office 365 or deploy an Azure MFA Server with default settings. One of the requirements they might have is that confidential information is not stored unencrypted in configuration files, like the web.config files of the Azure MFA User Portal, Azure MFA Mobile Portal and Azure MFA AD FS Adapter so they can connect to the Azure MFA Web Service SDK. We’ll use an internal Certification Authority (CA) to issue certificates. We could use a publicly trusted Certification Authority (CA), but this might require external connections towards certificate revocation information (HTTP). We don’t use self-signed certificates, signed by the servers in scope, either. Since the communications between the Azure MFA User Portal, Azure MFA Mobile Portal, Azure MFA AD FS Adapter and the Azure MFA Web Service SDK already utilizes one (configurable) TCP port, we don’t implement IPSec. The Root Certification Authority is an Enterprise Root CA. This will allow you to set permissions on certificate templates, make domain-joined systems automatically enroll for certificates and make the certificate chain trusted throughout the Active Directory environment. You’ve setup Azure Multi-Factor Authentication Server version 7 successfully, using one of the many write-ups available to do so using usernames and passwords for the service account. If you want to know your deployment options, click here. If you want to follow my write-up, start here. Create at least one service account. Add the service account(s) to the PhoneFactor Admins group in Active Directory. Ensure the Certification Authority Web Enrollment feature is installed on the (issuing) Certificate Authority (CA), by navigating to /CertSrv”>https://<CAName>/CertSrv. To test the configuration, visit the User Portal and log on using multi-factor authentication, based on the Mobile App to gain access to it. When it’s not working using username/password configuration, it certainly won’t magically start working using certificate authentication. 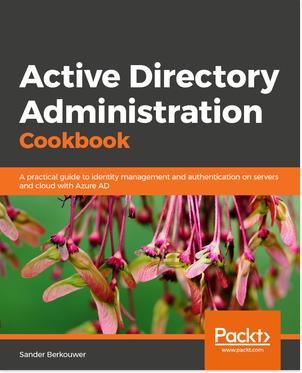 Log on to an Active Directory Domain Controller. Open the Active Directory Sites and Services MMC Snap-in. In the navigation pane, navigate to Certificate Templates. In the main pane, select the User certificate. Then, right-click it and select Properties from the context menu. On the Security tab, grant the PhoneFactor Admins group permissions to enroll the certificate. When you use service accounts per service, so one service account for AD FS, one service account for the Azure Multi-Factor Authentication Server User Portal and one service account for the Azure Multi-Factor Authentication Server Mobile Portal, perform the below fifteen steps for requesting a certificate for each of the service accounts. Log on to the primary Azure Multi-Factor Authentication (MFA) Server as an admin. Connect to the Certification Authority Web Enrollment website by navigating to \CertSrv”>\CertSrv”>http://<CAName>\CertSrv using Internet Explorer. Log in with the Service Account. On Request a Certificate, click User Certificate. Enter your identifying information for the certificate request. If you see the Certificate Pending page, the Certification Authority administrator will have to approve the request before you can retrieve and install the certificate. If you see the Certificate Issued page, click Install this certificate. Install the certificate within the admin session by right-clicking the downloaded certificate and selecting Install from the context-menu. Open the Certificates MMC Snap-in, go to the Certificate pane and select User Account. Right-click the certificate you installed previously and select Export from the context menu. Save it to a secure location and note the password you use to protect the key pair. Export the certificate to a base64 .cer file, too. In Server Manager, verify that the Web Server (IIS)\Web Server\Security\IIS Client Certificate Mapping Authentication feature is installed. If it is not installed, select Add Roles and Features to add this feature. In IIS Manager, double-click Configuration Editor in the website that contains the Web Service SDK virtual directory. For security reasons, you want to perform these steps at the website level and not at the virtual directory level. Click the … button next to oneToOneMappings, and then click the Add link. Open the Base64 .cer file you exported earlier. Remove —–BEGIN CERTIFICATE—–, —–END CERTIFICATE—–, and any line breaks. It becomes a single line. Copy the resulting string. Configure the certificate using the string copied in the preceding step. Configure userName to the service account your created as part of the prerequisites and is a member of the PhoneFactor Admins security group. Use the <domain>\<user name> format here. Set the password to the appropriate service account password. In the Web Service SDK virtual directory, double-click Authentication. Verify that ASP.NET Impersonation and Basic Authentication are set to Enabled and all other items are set to Disabled. In the Web Service SDK virtual directory, double-click SSL Settings. Set Client Certificates to Accept, and then click Apply. Copy the .pfx file you exported earlier to the server that is running the AD FS adapter. Open the MMC Snap-In for Local Computer Certificates by pressing the Start button and typing certlm.msc. Import the .pfx file to the local computer’s personal certificate store. Right-click and select Manage Private Keys, and then grant read access to the account you used to sign in to the AD FS service. Open the client certificate and copy the thumbprint from the Details tab. Change the value for WebServiceSdkCertificateThumbprint to the string copied in the previous step. Specify the value for WebServiceSDKUrl. Next, alter the Register-MultiFactorAuthenticationAdfsAdapter.ps1 script to include the ConfigurationFilePath parameter to the full path of the MultiFactorAuthenticationAdfsAdapter.config file. To register the MFA AD FS adapter, start a Windows PowerShell console window as administrator and run the Register-MultiFactorAuthenticationAdfsAdapter.ps1 script. Copy the .pfx file you exported earlier to the server that is running the Azure Multi-Factor Authentication User Portal and/or Azure Multi-Factor Authentication Mobile Portal. When the server that is running the Azure Multi-Factor Authentication User Portal and/or Azure Multi-Factor Authentication Mobile Portal runs in a perimeter network, and is not joined to the Active Directory domain, also import the certificate chain, containing the Root CA, any relevant intermediate CAs and the CA that issued the certificate. *The application pools used in IIS to host the virtual directory’s. To test the configuration, visit the User Portal and log on using multi-factor authentication, based on the Mobile App to gain access to it. 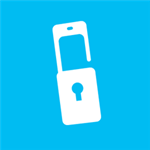 The requirement to not store confidential information unencrypted in configuration files, can be met using the steps above for the Azure MFA User Portal, Azure MFA Mobile Portal and Azure MFA AD FS Adapter for their connection to the Azure MFA Web Service SDK. There seems to be an error in the handling of certificate thumbprint putted into web.config. In the latest version of MFA server, it only accepts capital letters in the thumbprint. By using powershell: Get-ChildItem -path cert:\LocalMachine\My you get a thumbprint that is usable.